When summer heats up, so does the party scene. 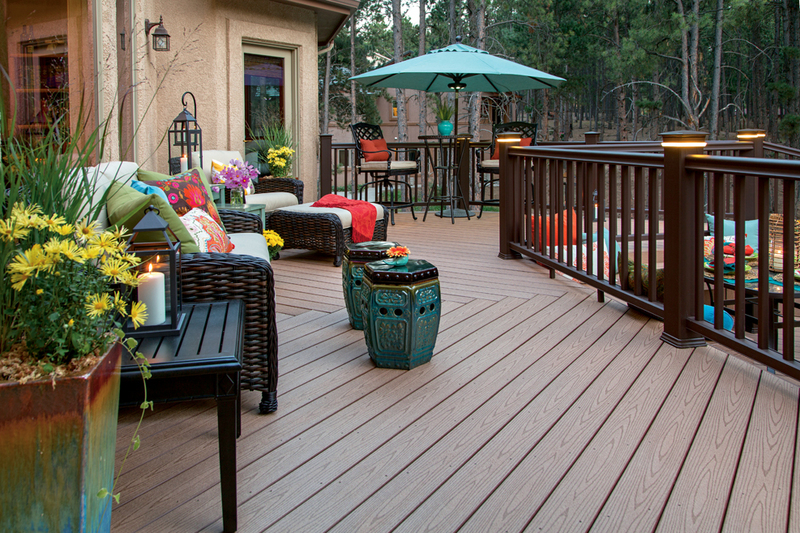 There is no better time to have friends over for drinks and dinner on the deck. But instead of just putting out paper plates and calling it a party, why not add a touch of the unexpected and elevate your outdoor party space to the same level as your home’s lovely interior? The key to hosting a great summer party is in creating a seamless transition between your indoor and outdoor entertaining spaces. Sometimes it is hard to know how to blur the lines between indoors and out, but try to think of the entire indoor-outdoor entertaining space as one big open floor plan, instead of two different places. 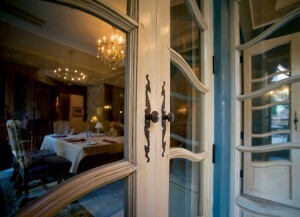 You can create a terrific entertaining area that your guests will savor if you apply a few basic design tricks. Improving your party flow can be as easy as rearranging the furniture, extending your color palette from inside to out or even simply incorporating some new accessories, like a set of dishes or outdoor cushions. Here are some tips to make sure you get the most out of your party space. The use of color is perhaps the simplest way to connect your indoor and outdoor spaces. Decorate the deck and pull colors from the nearby interior by selecting plants and flowers that complement your indoor color scheme. 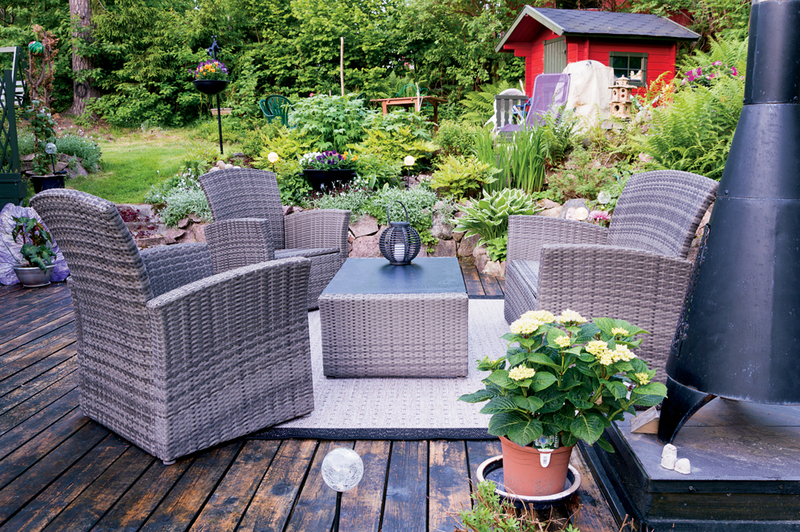 On your deck, choose outdoor cushions, umbrellas and flowerpots from the same color palette you use inside. Coordinate your outdoor dining essentials with your regular indoor tableware, so they’ll mix and match well on your al fresco buffet. You don’t have to use the exact hues, but be sure they relate and come from the same color family. Plants, candles, cushions and cachepots can all help tie the indoors and outdoors together when they share the same color. For your party, grab a few of your indoor accessories and decorate with them outside on the deck to really make it feel like an extension of your party space. Even adding a throw or two to your outdoor seating arrangement can help carry colors outdoors (and give your guests a cozy wrap if the night air becomes cool after dusk). can appear to flow indoors when you install ceramic floor tiles in the same shade of grey. 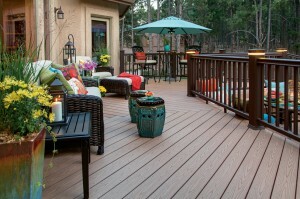 Or, you can choose the same color stain for your deck that you used on your interior wood floors. If changing flooring is out of the question, something as simple as using the same or similar indoor/outdoor rugs inside and out can create a visual connection between the two spaces. Outdoor rugs are quickly becoming everybody’s favorite new floor covering, inside and outside. Because they are so easy to clean, they are perfect for parties. When thinking about the arrangement of both your indoor and outdoor furniture, one trick you can try that might improve the flow of your indoor and outdoor spaces is to focus on the view. 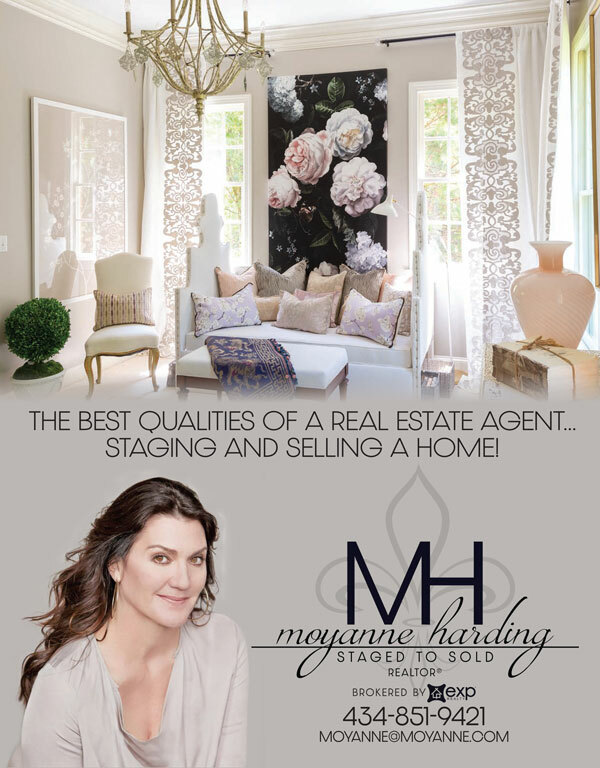 If you are lucky enough to have a fantastic view of the mountains, rolling hills and meadows, a vast open field, a body of water or a lush green forest, see what happens if to orient all your furniture so that it faces the same vista, whether you’re inside or out. 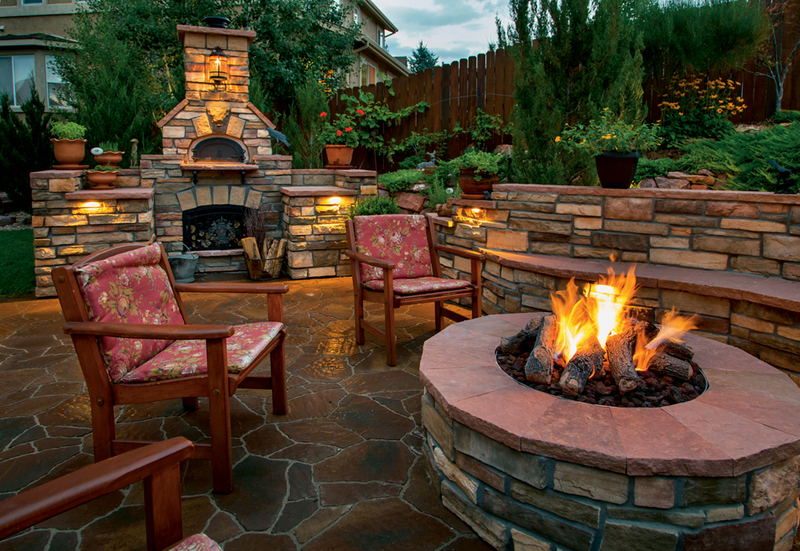 Think of your patio as an outside living room. Create conversation areas and activity zones, just as you do indoors. Anchor your seating area with an outdoor rug. 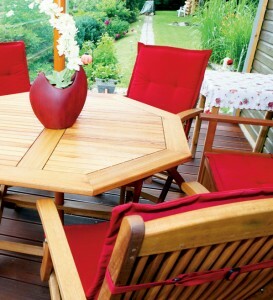 Pull the furniture away from the “walls” that might line your outdoor spaces. Create a mood through candles, lanterns or outdoor lighting. Soften or fill the corners with a plant or potted tree. All of the same decorating motifs you might use inside your home can be used outdoors. 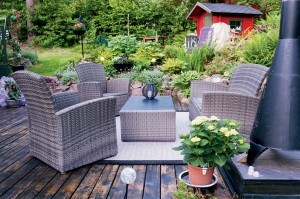 Your outdoor furniture is visible from inside your home, so it makes sense that you would extend your interior decorating themes there, even if you have a very small outdoor space. Just as you would do indoors, soften your seating with throw pillows made of water-resistant fabric. Make sure you have a side table next to the lounge chair, so guests have a place to set their plate. Use trays on tabletops to help steady drinks and add a decorative touch. 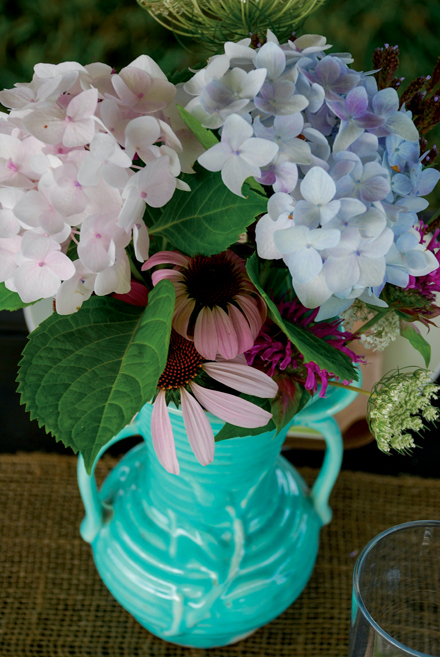 All of these thoughtful touches will establish that the party is outside, too. 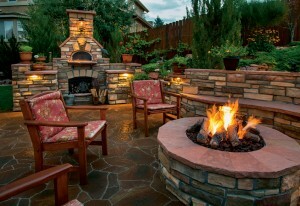 One of the best ways to integrate your indoor-outdoor living spaces is to invest in a big opening between them. Consider replacing a solid wood door with a French door or a single door that is mostly comprised of glass to let the light shine through. Forgo the curtains or opt for lightweight sheers so that nature can easily be seen from within. Keep in mind that allowing vast amounts of light to shine in can warm things up a bit inside. You can keep your cool and limit overexposure of the sun by installing an awning or planting a large tree nearby to shade windows and doors, which will in turn lower indoor temps. A vine-covered arbor or pergola is another great and beautiful way to add shade over your outdoor entertaining space without darkening your view. Plants bring natural beauty into our living spaces. By adding color and texture, plants can transform a room or patio into an environment that comforts, welcomes and literally brings life into the space. Not only should you choose plants that complement your home’s color palette, but be sure to include an interesting mix of textures and heights as you select plants and flowers. Great design is not solely about the way your house looks but also about how it functions. Homes that successfully blur the line between outside and inside can make a home seem more spacious and more in tune with nature. Gone are the days when the only connection to the backyard was the back door. Now, a multitude of options exist for uniting the two areas by using the space well and incorporating intentional choices in color, flooring, furniture and foliage. Together, these concepts create a seamless flow between your indoor and outdoor spaces. Previous Post: Large-Scale Lawn Problems, Solved!